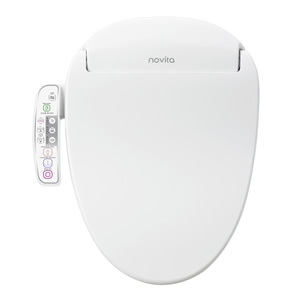 From Kohler Novita, the largest bidet seat manufacturer in Korea, we are proud to present their latest release, the BN330/BN330S. The sleekest line of seats ever produced, with a height of just over 5 inches, this model series was also designed to fit both one- and two-piece toilets. Other features include newly developed hybrid heater technology, stainless steel nozzles, and a “sit-able” lid. The seat sensor override makes this seat a perfect choice for use with adaptive devices.